How to find your template site and how to log into it. ANY club site using the template. Enter the UserName and Password you chose when you registered. 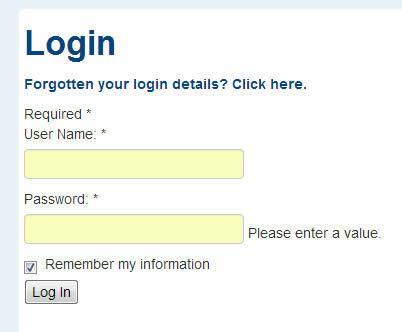 If you can't remember them, follow the 'forgotten login details' link and the information will be emailed to you! Similarly, see the 'problems logging in' page if you have difficulties. If you tick the 'Remember my information' box, the username and password will be entered automatically when you visit the page and you will only need to click the 'Log In' button. If your login is successful, you will be taken into the members' area. If not, you will be refused admission; either you made a mistake with your username or password, or your registration hasn't yet been authorised.